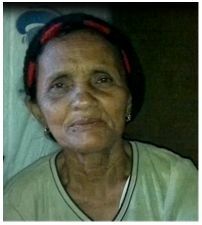 OVERVIEW: In this eleventh interview, Fatima Pedro, wife of torture victim Hamsa Pedro, talks about how she struggled in searching for her husband from one police station to another for 15 days. Hamsa was forcibly taken by police officers wearing balaclavas from a crowded public market. Hamsa’s son and the people at the public market saw how the victim was forcibly abducted; however, for fear, none of them dared to intervene. For 15 days, he was kept in police custody in a private hotel where he was tortured. The police deliberately concealed Hamsa’s whereabouts from his family. Hamsa was kept in the hotel and was tortured together with another victim, Alex Salipada. Alex’s wife, Hadji Noria, has already spoken about his case in this interview: AHRC-ETC-036-2012. Fatima learned that Hamsa was alive and discovered his whereabouts after a person known to her told her that he had seen her husband taken to court. She went to court where he was taken, asked the judge; however, the name in the criminal charges was not that of her husband’s. The judge at the court could not tell whether the name of the person taken to his court was the same person as her husband. She again looked for him at the headquarters of the police where she found him. 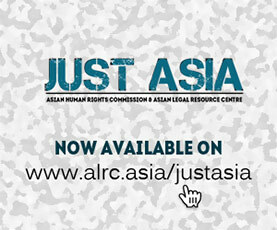 For more details about Alex and Hamsa’s case, please see: AHRC-UAC-178-2012. I am Fatima Pedro, wife of Hamsa Pedro. He was arrested in June 18, 2005 at the market for unknown reasons. We don’t know the perpetrators. He was taken in a white van without plate number. He was brought to the barracks (General Santos City Police Office). For 15 days I have not seen him. I saw him in court. He was threatened and incarcerated. He was beaten and placed in a drum full of water. He was asked to admit a crime he did not commit. We don’t know the reason why he was arrested. He was brought to a barracks and beaten; he had many bruises on his face. Q: What is your husband’s occupation, how does he earn a living? A: He is a labourer at the market (in General Santos City). He was arrested last June 18 at 4pm at Silangan Bakery. He was carried in a van. Q: No one witnessed the incident? A: My son. He saw the men who arrested my husband. He said they are wearing face mask. Q: How many were they? A: Many of them are in the van. Q: Were they armed men? A: Yes, they were armed. My husband was carried into the van abruptly. Q: For 15 days you said that you did not have any communication with your husband, what did you do? A: I was looking for him at different police precincts. A man told me that he saw my husband at the court. I went to the court and looked for Judge Salidran. The judge told me that he doesn’t know what I am asking. I just told him. I am just asking because a man told me that he saw my husband. Q: According to the man, where did the perpetrators take your husband? Lagao po? A: In Lagao Regional Trial Court. Q: What is the charge filed against him? A: It was about bombing at the market (in December 2004). He will not do that because we are poor. How could he do such crime? I went to the barracks (General Santos City Police Office) after several days of looking for him. Q: What did he tell you when you speak to him? A: He didn’t tell me apart from he was placed in a drum. Eight men pressed and held him inside the drum to force him to admit the crime he didn’t commit. Q: Did he admit the crime? A: He didn’t admit anything. Q: For how many days was he beaten? A: Everyday they beat him up? A: Yes. They did it to admit the crime. Q: Apart from bombing, is there any charges filed against him? Q: What are your plans now, since there is a crime filed against him? Do you have any case filed at the Commission on Human Rights (CHR) or Office of the Ombudsman? A: There other cases filed at the Regional Trial Court, Branches 22, 35 and 37 and then he would be transferred to Manila. Q: How do you feel that he would be transferred to Manila? A: We will not agree to it because it is difficult (if he would be detained) in Manila. We are here in General Santos. I can’t visit him regularly because I don’t have money. I sell citrus fruit to earn a living. My children could not eat sometimes. I can’t bear it anymore. Q: How many are your children? Q: Who is your counsel that handles the case? Is it from Public Attorney’s Office? A: It is Atty. Caroline Anne Tajon. I can’t afford to get a private counsel. I don’t have money to pay it requires big amount of money.